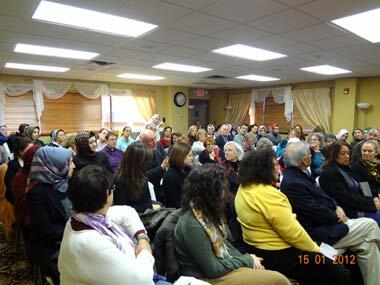 The Peace Islands Institute hosted a "PII Women Gathering" to celebrate interfaith unity and strengthen communication between the Abrahamic religions at the Turkish Cultural Center in Ridgefield on on January 15th 2012. 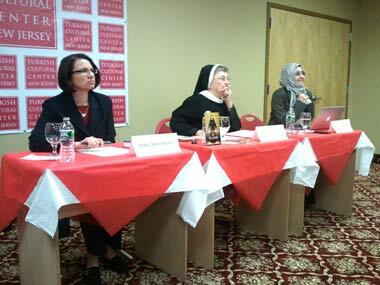 Speakers Rabbi Debra Hachen, Sister Antonella Chunka, and Dr. Zuleyha Colak discussed from their own perspectives of how women are venerated in the Abrahamic religions. Rabbi Debra Hachen of Temple Beth-El in Jersey City talked about Ruth from the Hebrew Scriptures and particularly focused on Ruth's inspirational journey. She said she selected Ruth for her discussion because she believes Ruth to be a great example of a righteous, virtuous woman. Rabbi Hachen described how Ruth demonstrated courage and passion by following her mother-in-law, Naomi, after the death of her husband, Mahlon, and how this act earned Ruth acceptance from society. 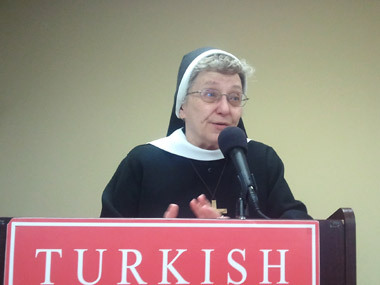 Sister Antonella Chunka of Felician College told of the life of the venerable Mother Mary Angela Truszkowka, who lived in Poland of the 19th century. Sister Chunka noted the reason she chose to speak of Truszkowka was because this blessed woman could be an inspiration for women from all religions to bring spiritual renewal to the world. 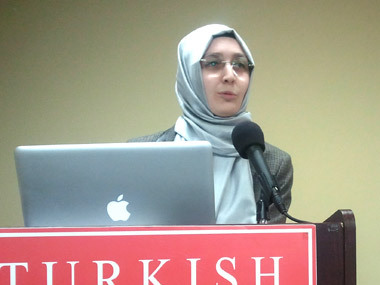 Dr. Züleyha Çolak is a lecturer with The Middle East Institute at Columbia University described the life of Zuleikha (Züleyha), the wife of Egyptian statesman Potiphar, who tried and failed to seduce the Prophet Joseph. Çolak explained she selected this woman because she is a perfect example of a heroin who followed her passion and demonstrated great courage by confessing to society. Zuleikha transformed herself by accepting the message of Joseph and acknowledging him as a Prophet. 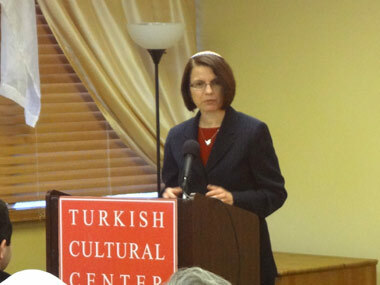 Çolak cited Islamic resources and concluded that Zuleikha demonstrates the possibility of salvation.